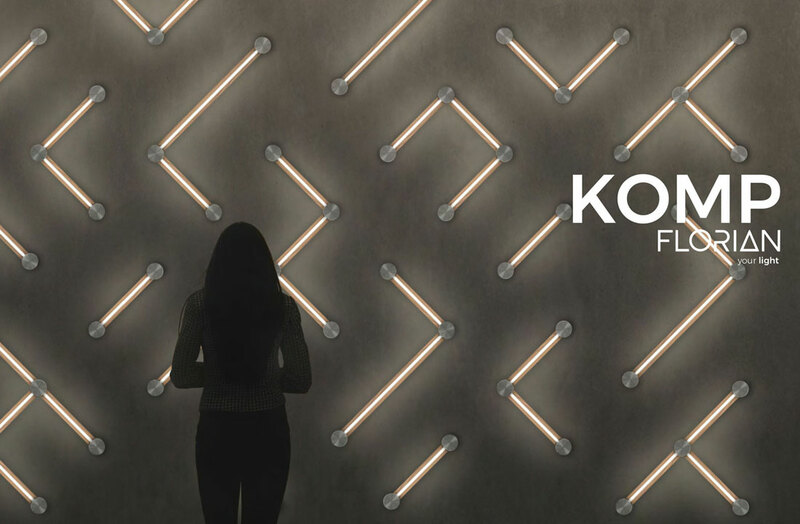 The new Komp range from Florian Light combines natural and sustainable materials with the latest in LED energy saving technology to create an exquisite architectural luminaire that has virtually limitless creative possibilities. The modular system enables architects and designers to imagine unique, personalised LED light features that will transform any space. The Italian architectural lighting manufacturers have a track record of superb, arresting designs that enable creative professionals to conjur their own unique combinations and they have continued this tradition with the Komp range. Available in ceiling, wall or suspended pendant, the Komp range is now available from ECI Lighting. Call or email us to find out more or download the brochure below to discover a new level of creative flexibility in lighting.